The Greater Terre Haute NAACP Branch is continuing the Big Read project sponsored by the Vigo County Public Library during March. Joseph Williams, NAACP Education committee chair, will lead a discussion with multi-media presentation that will examine the life and legacy of Jack Johnson. 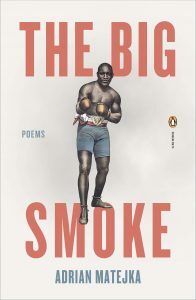 The program topic for the Branch meeting on Monday, March 18 will be based on poems from a book, The Big Smoke, by Adrian Matejka. 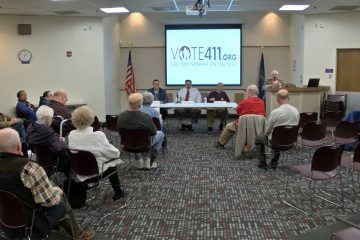 The meeting will be at the Vigo County Public Library at 6:30 p.m.
Jack Johnson was a legendary prizefighter – the first African American to claim the title of world heavyweight champion. The Big Smoke explores the fighter’s journey from poverty to one of the most coveted titles in sports through the voices of Johnson and the women who knew him best. “What would you like to know?” is the final question in the last poem in the book. [Reference: “Hubert’s Museum & Flea Circus (1937)”] This is the question the NAACP invites attendees to bring to the next discussion. Jeanne Rewa, Community Coordination committee chair, will also contribute special commentary for the program topic. The Library has provided complimentary copies of the book to anyone interested in participating in the Big Read. Poems in the book include various topics. Power is a major theme throughout, with Johnson portrayed both as powerful and powerless. Many of the poems are written from Johnson’s perspective; others are written in letter writing form by women in Johnson’s life. A number of poems take their titles from actual newspaper headlines. Race Relations and Equality are other topics presented.